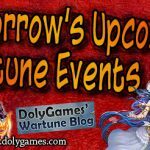 Hey everyone, in this article I share the Wartune Events for the 13th of October 2018 (article + video)(Gem Synthesis, Soul Engraving & Clothing ID-Ref Cycle). 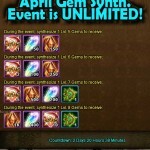 Gem event cycle is pretty dull, especially with the low chest returns. 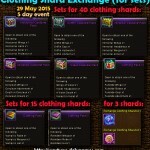 In the early days, the Gem event actually gave a ton of chests, but it was severely nerfed. I think if they started increasing chest yields for some of these secondary cycles (ones that aren’t very interesting) then the interest in them would go up. Getting a handful of chests this cycle… meh. It doesn’t help that 99% of us can’t use soul crystals or soul seals. 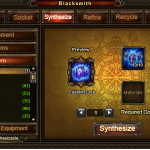 Hi, regarding the Soul Engraving events I think it is a good idea that they continue putting them at least 1 time per month just to support any newer players that might join to play Wartune.